Parra graduated from the University del Bosque Medical School (Bogota-Colombia) in 1988. He obtained an MPH in Biostatistics/Epidemiology from Harvard University in 1992. He pursued clinical training in Neurology and Internal Medicine at Duke University. He completed a Fellowship in Neurocritical Care and Stroke at Duke University in 2001. He is a Neurocritical Care Faculty at Columbia University and at the University of Texas USA, where he currently directs the Neuro ICU Program. He has done basic and clinical research, published in the leading scientific medical journals, done editorial peer review, and has been part of the American Heart Association Brain 1 Basic Science Grant Review Committee for several years. He has special research interest in the repercussions of brain injury into the cardiovascular system and vice versa. 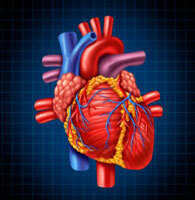 repercussions of brain injury into the cardiovascular system and vice versa.